“I am telling you to find out where you can see it or wait and buy the DVD. 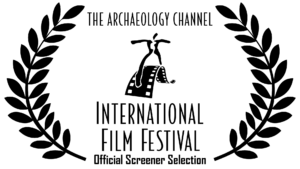 I do not believe that I have to say what an important film this is” – Amos Lassen for Judaica. From the Producer of Circle Unbroken: A Gullah Journey from Africa to America comes the film that served to launch The Holocaust Education Film Foundation. It tells a story of persecution and one man’s inner-strength, fortitude and daring escape from internment in Nazi Germany. Joe Engel’s determination to survive has resulted in him becoming a treasured citizen, community leader, teacher and philanthropist in America. Born in Zakroczym, Poland in 1927, Joe Engel was taken by the Nazis at 14 and never saw his parents again. He is the embodiment of living history and spends his retirement years ensuring the Holocaust is never forgotten. 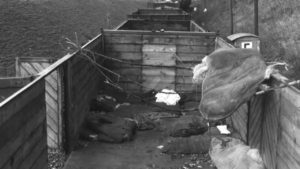 From the overwhelming despair of the Warsaw Ghetto, to the shroud of unceasing death and suffering that was Birkenau and Auschwitz, Joe then takes you through his escape from a Death Train at 17 and covert work as a freedom fighter until Liberation in 1945. Joe’s is a vivid journey to hell and back; enriched by an incredible and personal approach to storytelling. His number tattoo may have faded over time, but his passion for life and his story continues today. 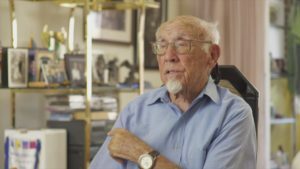 With the assistance of “The United States Holocaust Memorial Museum’s film and photographic archives”, filmmaker Ron Small (Circle Unbroken, Medals of World War II) has successfully weaved Joe Engel’s incredible storytelling into a riveting visual presentation that is both historic and contemporary. 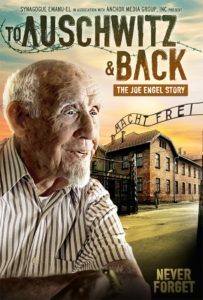 With an unwavering will to live, Joe Engel overcame unimaginable horrors, earned his freedom through a daring escape, and fought to free others. He currently resides in Charleston, S.C. Many people can tell a story. Very few can compel you to listen. Joe Engel, at 90 years of age, knows how to tell his story. His life is a story of faith, renewal, inner-strength and redemption. He is a charming storyteller who hopes that people will listen and learn and most of all… “never forget”.